For years, criminologists have studied the relationship between crime and below-average intelligence, concluding that offenders possess IQ scores 8-10 points below those of non-offenders. Little, however, is known about the criminal behavior of those with above-average IQ scores. This book provides some of the first empirical information about the self-reported crimes of people with genius-level IQ scores. 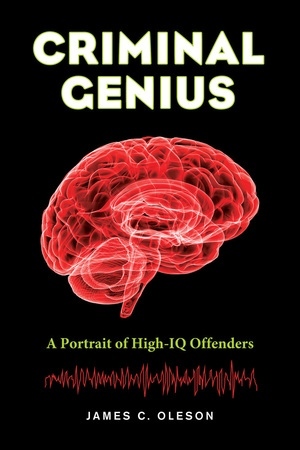 Combining quantitative data from 72 different offenses with qualitative data from 44 follow-up interviews, this book describes the nature of high-IQ crime while shedding light on a population of offenders often ignored in research and sensationalized in media. James C. Oleson is Associate Professor of Criminology at the University of Auckland.